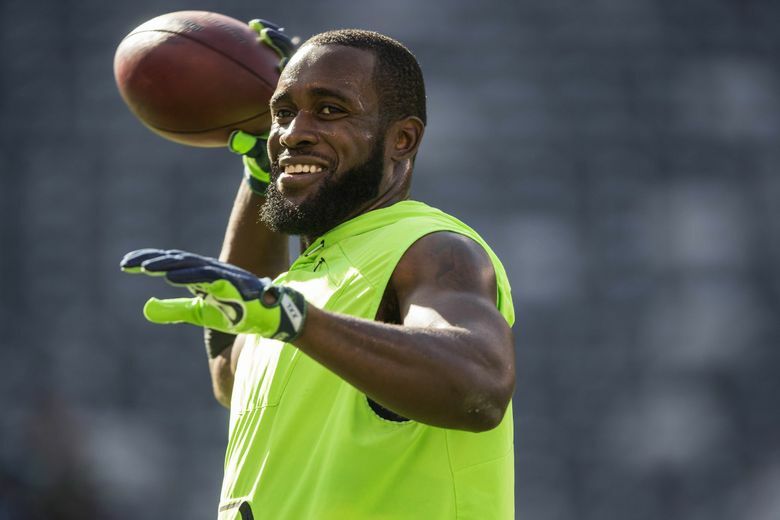 Ranking the Seahawks’ roster | Positions 90-76: Who’s at the bottom of the depth chart as camp begins? 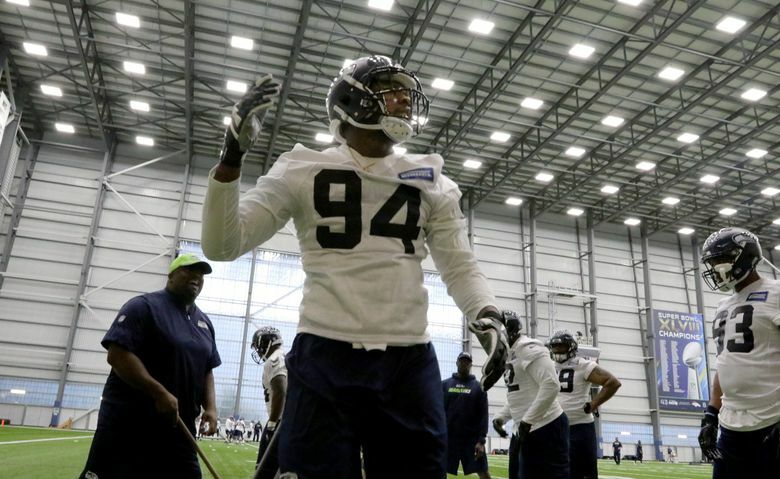 The race to make the Seahawks' 53-man roster begins in training camp on July 26. We rank all 90 players on the roster, with many young players and a couple of injured big names making up the first installment of our rankings countdown. It won’t be long until the Seahawks are back on the field with training camp kicking off on July 26. To preview the start of a new season — which follows an offseason in which the team has experienced as much significant roster turnover since the beginning of the Pete Carroll era in 2010 — I’m going to rate all 90 players heading into camp. The countdown will cover the next week, initially in groups of 15 for the first four sets, then 10 for the last three to cover all 90 players on the team’s current roster. As much as anything, the countdown is designed to give a sense of the players on the roster and their situation heading into camp as it appears from here. And like Drake, we’ll start at the bottom and work our way up. Potential role in 2018: Likely none since it’s not thought he’ll pass a physical due to injuries suffered in an ATV accident last July, and he could be waived at any time. If he remains on the roster he’ll likely go on the Non-Football Injury list again. Why he’s ranked here: Despite an NFL Network report from last spring that he would soon be waived, McDowell remains on the roster. But the team also gave his jersey number, 94, to fellow defensive lineman Rasheem Green, telling you all you need to know about their expectations of his future. Potential role in 2018: Vying for a spot in the receiver rotation. 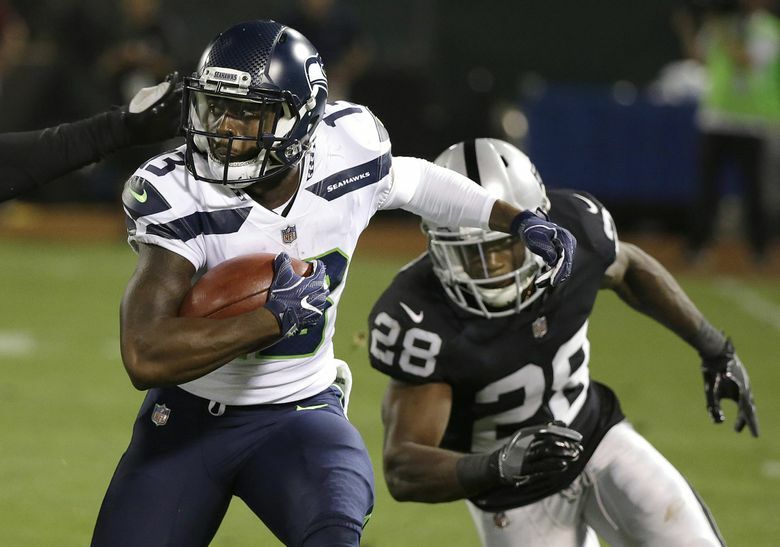 Main competition: Seattle has 12 receivers on its roster and Scott, an undrafted rookie free agent from Vanderbilt, is competing with those at the bottom of the depth chart to make an impact early in camp. Why he’s ranked here: Scott was nursing an injury during the offseason training program and the team will need to wait until training camp to get a sense of what he can do on the field. Potential role in 2018: Vying for a spot as a backup tight end. Main competition: The Seahawks have five tight ends on the roster and Wilson is undoubtedly the fifth of those five entering camp. Why he’s ranked here: Wilson signed in mid-May after being a tryout player in the team’s rookie minicamp. Potential role in 2018: While the team lists Young as both a guard and a tackle, he played mostly right tackle during the offseason training program. 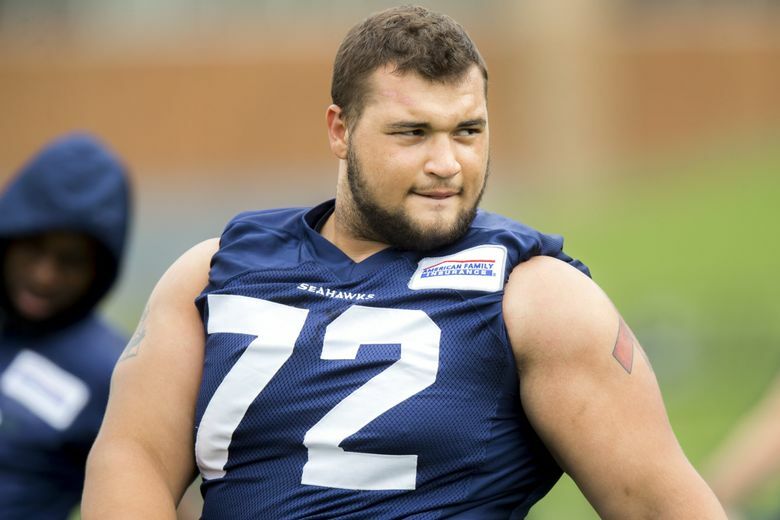 Main competition: Seattle has Germain Ifedi and George Fant as its projected top two right tackles heading into camp, so Young, an undrafted rookie free agent from Auburn, has an uphill climb. Why he’s ranked here: As with most of the young OLs at the bottom of the roster, Young’s best bet may be to do enough to earn a practice squad invite. Potential role in 2018: Beal, a two-year starter at Oklahoma, may have his best shot to make an impact on special teams. Intriguingly, some suggested prior to the draft he could also potentially be a strong safety. Main competition: Seattle has 11 linebackers on its roster and the final one or two spots appear wide open for someone to steal. Why he’s ranked here: At the moment it’s hard to know much about a lot of the younger linebackers on the roster until camp gets going. Potential role in 2018: Vying for one of the final couple receiver spots. Main competition: The former LSU track star is in his second season trying to convert to NFL receiver. He needs to show this year he can use his speed to be productive between the lines. Why he’s ranked here: Grayson remains intriguing but also raw. Potential role in 2018: Like Beal, Austin Calitro and a few other linebackers, the team would most likely be looking to see if he can help on special teams. Main competition: Since the linebacker spots can be somewhat interchangeable, the young backups are mostly fighting with the pack to try to stand out early in camp. Why he’s ranked here: Long played just one year of linebacker at Northwestern after starting his career at running back. But Seattle hopes it has found a diamond in the rough. Potential role in 2018: Calitro is vying for a backup spot at inside linebacker. Main competition: The Seahawks’ backup spots appear pretty wide open and Calitro could get a look at weakside and middle. 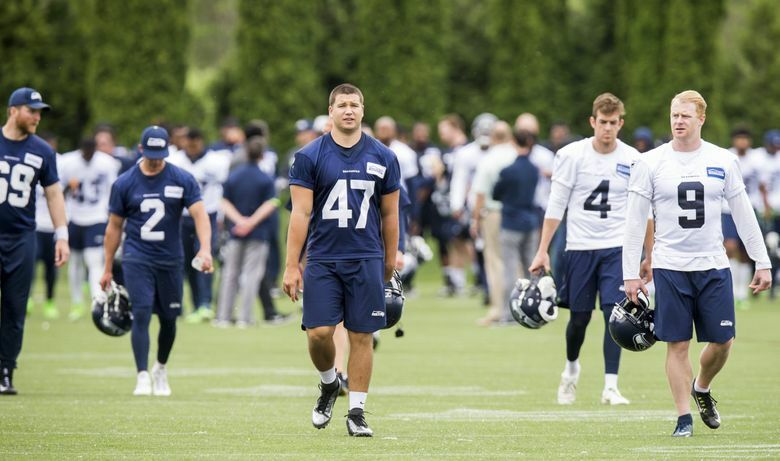 Why he’s ranked here: Calitro, who played at UConn, was briefly on the Seahawks’ practice squad last season and was brought back in June for another look. We don’t know much about him yet. Potential role in 2018: King is vying for a backup spot at cornerback. Main competition: King is one of 10 players the team lists at cornerback. But he also played safety at San Jose State before moving to corner when drafted in the seventh round by the Falcons in 2015. With Seattle’s suddenly murkier outlook there, he could maybe play some safety, too. Why he’s ranked here: King appears the longest shot of any of the cornerbacks at making the roster. But he has been with the team in some capacity since last fall so the Seahawks obviously see something in him worth pursing. Potential role in 2018: Appeared to play mostly left guard during the offseason training program. Main competition: Jordan Roos and Rees Odhiambo appear to have the inside track on backup guard spots heading into camp. Why he’s ranked here: A four-year starter at Idaho State, Phillips was regarded by many as a late-round draft prospect, but went undrafted. He has the size and versatility — he played all five OL spots in college — to earn a long look. Potential role in 2018: Carter can also play corner but his best shot with the Seahawks may be as a free safety, especially if Earl Thomas isn’t around. Main competition: Others vying for backup free safety spots are Tedric Thompson and Tevon Mutcherson. Why he’s ranked here: Carter was on the practice squad last season and Seattle seems intrigued to see if he can make the transition to safety after playing cornerback earlier in his career, as Detroit’s third-round pick in 2015. Potential role in 2018: Vying for a spot as a backup on the interior OL spots. Main competition: Henry, a former Bellevue High standout, and Joey Hunt are the only two listed centers behind starter Justin Britt. Why he’s ranked here: Henry signed in May after a strong showing in the team’s rookie minicamp. His key will be showing he can play both guard and center since Hunt has typically been regarded as only a center. Potential role in 2018: Vying for a spot as a backup receiver, returner and special teamer. Main competition: Like Grayson, Scott and a few others, Reynolds is battling the pack at the bottom of the receiver depth chart. 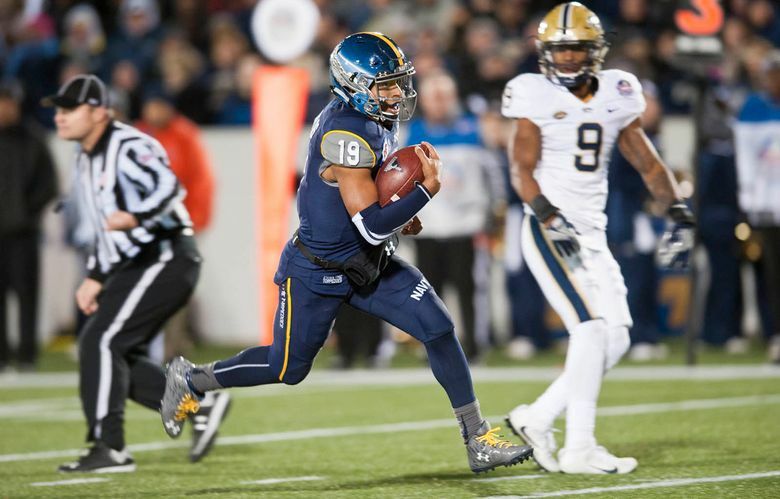 Why he’s ranked here: A former record-setting quarterback at Navy, Reynolds is on his third NFL team trying to make the conversion to receiver. Potential role in 2018: The Oregon product is vying to be the team’s starting snapper. Main competition: Carew and 2017 starter Tyler Ott are the only two snappers on the roster. Why he’s ranked here: Carew was regarded as one of the top long snappers in the nation last year at Oregon and has a legit shot to make the roster. Potential role in 2018: Chancellor unfortunately recently announced via Twitter that he has not been cleared to play football anymore. While some portrayed that as a retirement announcement, Chancellor is not officially retiring and remains on the roster because he is owed $12 million in injury guarantees over the next two seasons that he won’t get if he retires now. Main competition: Sadly, not really applicable. Why he’s ranked here: You could say Chancellor could be ranked with McDowell at the bottom since he won’t play this season, and is expected to begin the year on the Physically Unable to Perform list. But if he’s able to have any sort of presence with the team this season there would obviously be value in that. This is the first of a seven-day series ranking all 90 of the Seahawks’ players as we count down to training camp.